We're ecstatic that you're interested in trying out the Giveffect nonprofit software! We've outlined a few steps to get your team setup before you begin! Everything you need to know about the Giveffect 14-Day Free Trial. Here are the steps we recommend before getting your team to start the 14-Day Free Trial. We highly recommend all nonprofits to schedule a demo. 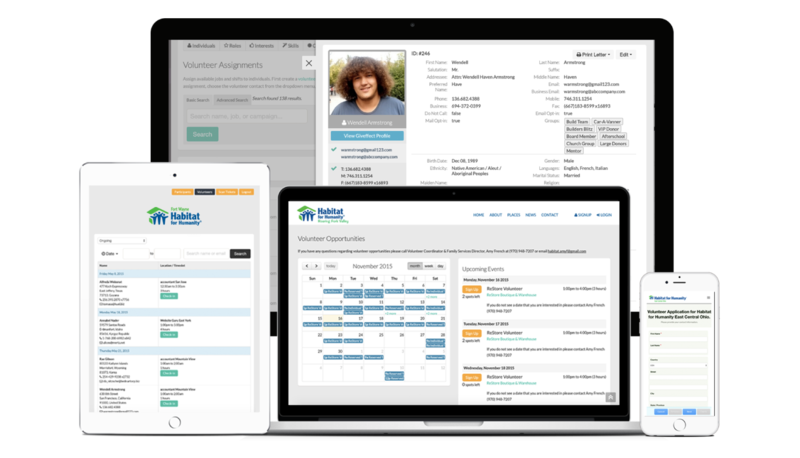 In our 30 minute private demo, we'll show you live examples of how other nonprofits are using Giveffect's all-in-one nonprofit system: online and offline giving system, events and fundraising - friends asking friends system, volunteer scheduling and management system, and the constituent relationship management database. Signup for the 14-Day Free Trial. It takes 3 to 5 minutes. Once your team is ready to try the Giveffect nonprofit system, you simply have to signup for the 14-day free trial. Get one person in your team to signup, it only takes 3 to 5 minutes. 4 to 6 Hours Nonprofit Security Vetting. Then your nonprofit will be good to go! We want to ensure you are an authorized individual to begin the 14-Day Free Trial on behalf of the nonprofit organization. After the security vetting process has been completed, you will receive an email notiication that your trial account has been activated. In Trial Mode: Invite your nonprofit team to give it a try! During your trial, we recommend you to give each system a try! Invite up to 10 colleagues to use the Giveffect system. Go through all of our training materials and we dare you to start a fundraiser, create volunteer opportunities, create a report and embed Giveffect into your site! You can invite up to 10 members from your team to access the Giveffect nonprofit software by creating more Admin logins after you activate the account. If you'd like to get the full trial experience - follow the instructions on how to embed Giveffect into your website! Check out all the video tutorials and written instructions about starting a fundraising, creating volunteer shifts and schedules, launching an event, sending out emails, and logging new contact records into the Giveffect system. Got a question while you're on the trial? Simply type into the built-in chat support box and someone on our team will answer you as soon as they can! If you can't wait, simply shoot an email to your Client Success Manager. The next step will be Data Migration. We'll help you manage all the transfer of your data from the systems that you're currently using. If you decide to come onboard during the 14-Day Free Trial, all you have to do is switch the Pricing Plan from the Free-Trial mode to the select subscription tier that fits your nonprofit's needs (Charity Settings > Pricing Plan). If you prefer taking advantage of the full 14 days, simply select a Pricing Plan after your trial has completed! Our Client Success Manager will provide you with more instructions on Data Migration. The software was great, but it's not the right timing for me. Not a problem! You may leave at any time and your trial will automatically terminate after 14 days. Want to see Giveffect in action?